The New York Times’ Watching website is dedicated to helping people find personalized TV and film recommendations. 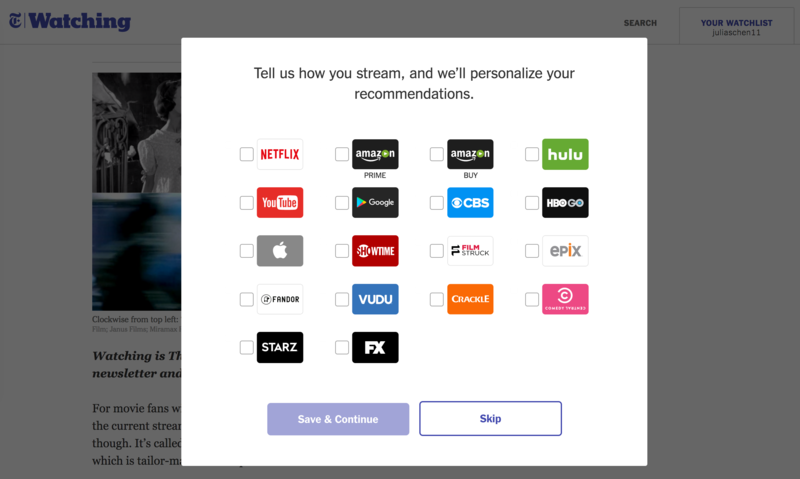 They use a simple modal window to ask readers about streaming preferences. Personalization is really important. The Times may be able to track what pages people read, but they won’t be able to glean information about devices and providers quickly unless they ask. This is an easy way to do so. The copy reflects a simple give-and-get exchange. Nice design for fitting a lot of options into one window modal.